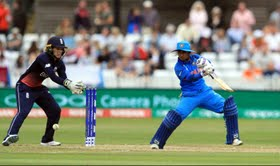 ICC Women's T20 WC India v New Zealand – will India come out on top? The New Zealand women's team has always been a force to reckon with in the shortest format of the game. However, they are not going through the best of the patches as they have met with three losses in their last five matches. India, on the other hand, are not known for their T20 exploits. But, they have given the spectators some confidence by putting up a good show in the practice matches. The White Ferns boast of one of the best opening combinations in the women's circuit. With Suzie Bates and Sophie Devine slotted at the top of the order and Amy Satterthwaite and Katie Martin to follow, it makes for a formidable batting line-up. New Zealand have already stated that they know what India are going to throw at them and that is their spinners. Led by Poonam Yadav, India's bowling line-up is spin heavy which can work both ways. However, the fact that the World Cup is being helmed in the Caribbean where the pitches are expected to be slow may just go in India's favour. The pace bowling trio of Arundhati Reddy, Pooja Vastrakar and Mansi Joshi have played a fair amount of matches to know what is expected of them. That being said, the Indian batting is their stronger suit with players like Smriti Mandhana and Mithali Raj at the top and Harmanpreet Kaur and Veda Krishnamurthy in the middle order. Harman is leading the team in her first ICC tournament and a lot would depend on how she marshals’ her troops. New Zealand too have two quality spinners in Leigh Kasperek and Amelia Kerr. Fielding is also a department where they can outplay India. All in all, a victory for New Zealand is expected but then the shorter format comes with its own whims and fancies. OLBG.com reviews new betting sites like MoPlay and their free bet offering -So check them out before playing elsewhere.